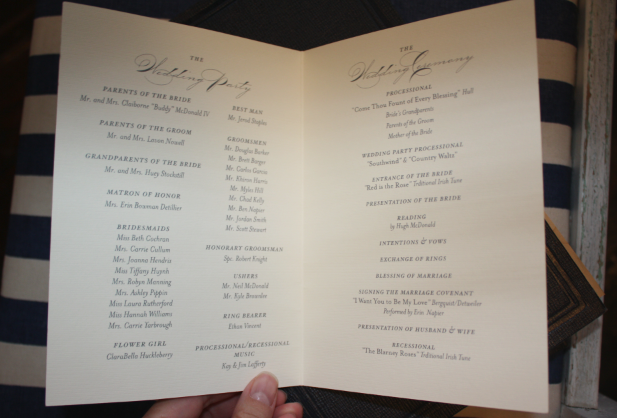 Great news for all you brides who need a ceremony program without the higher cost of letterpress printing! 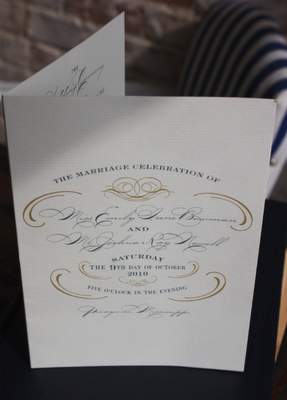 Lucky Luxe is now offering digitally printed folded programs on archival quality cream linen stock. Your invitation design (Collection or Bespoke) is on the front, your wedding party and ceremony are on the inside, and a short ‘thank you’ note to your friends and family adorns the back cover. Let us know if you’d like to place an order!